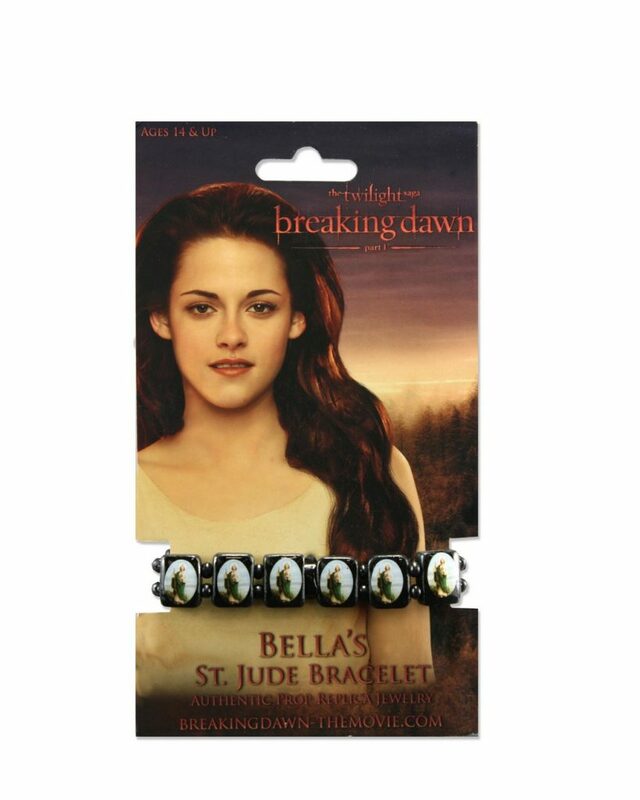 Based on the one worn by Bella in the Twilight: Breaking Dawn movie, this St. Jude bracelet is the perfect casual addition to any look. 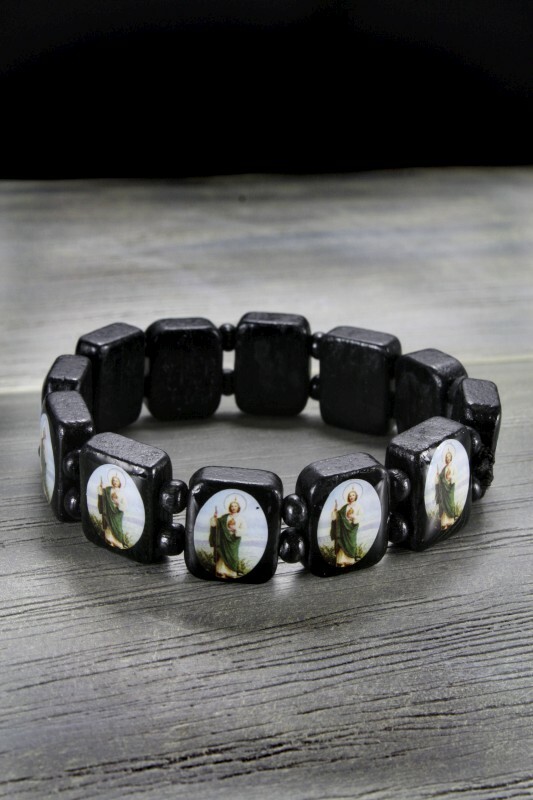 The black wooden links feature the image of St. Jude, the patron saint of desperate cases and lost causes, which describes Bella and Edward’s relationship to a tee! The bracelet is stretchy, so it fits all wrists comfortably.